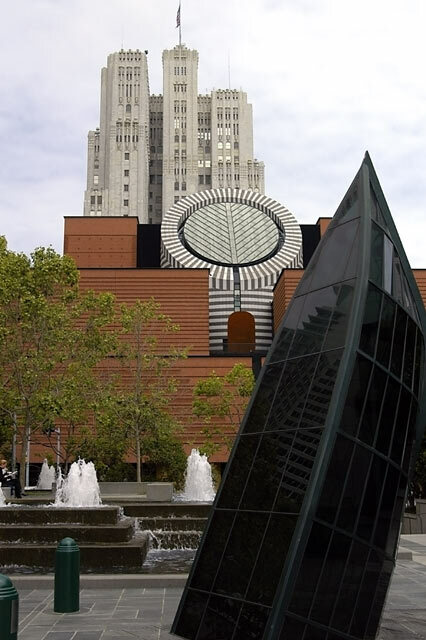 SF MOMA, Yerba Buena: In Yerba Buena Gardens during lunch, looking at the SF Museum of Modern Art. Nikon D100, Tamron 28-75 1:2.8 XR Di, 28mm f5.6 1/5000sec. ISO500, Accidentally left on spot-metering, which ruined some other shots but not this one.